Employment Law This Week®: Predictive Scheduling Laws, the New Normal? This Employment Law This Week Deep Dive episode looks at “predictive scheduling laws,” which are laws that require employers to publish employee work schedules a certain amount of time in advance so that employees (especially those in the hospitality and retail industries) can have greater flexibility and work-time predictability to deal with family and other events and responsibilities. 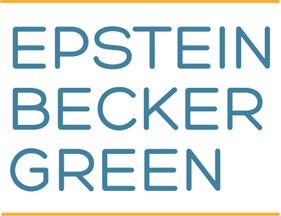 Attorneys Jeffrey Landes, Jeffrey Ruzal, and Adriana Kosovych of Epstein Becker Green discuss the trend toward enacting predictive scheduling laws, the impact that these laws can have on business profitability and costs, and the strategies for compliance. 1. Predictive Scheduling Laws, the New Normal? Taking the guesswork out of scheduling for wage workers is an attractive proposition for regulators. Several cities and one state—Oregon—currently have predictive scheduling laws on the books, and the trend is growing, with proposed legislation in many jurisdictions across the country.